The Cleany cat litter tray has an easy acceΒ entrance including protective edges to prevent litter and urine from being pawed out of the toilet. The edges cab be fastened with an easy click lock, which offers a tight binding between the tray and the protective edges. The litter tray also has rubber feet to remain in place. Your cat can scratch and paw to his/her heart's content without throwing any litter out of the box. 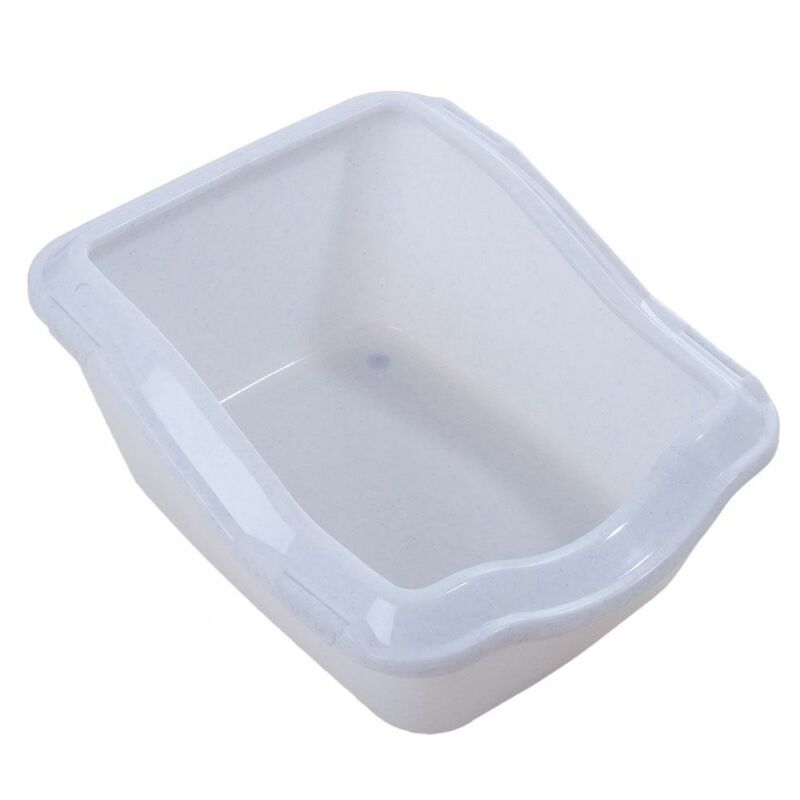 Cleany Cat Litter Tray at a glance: Total Dimensions: 54 x 45 x 21 / 29 cm (L x W x H) Dimensions with protective edges: 54 x 45 x 29 cm (L x W x H) Entry hight with edges: 17.5 cm Entry hight without edges: 15 cm Colour: granite Extra deep tray Detachable, protective edges Rubber feet at bottom of tray.